Most shochu makers refrain from using yellow koji as they are sensitive to temperature and difficult to produce quality shochu. 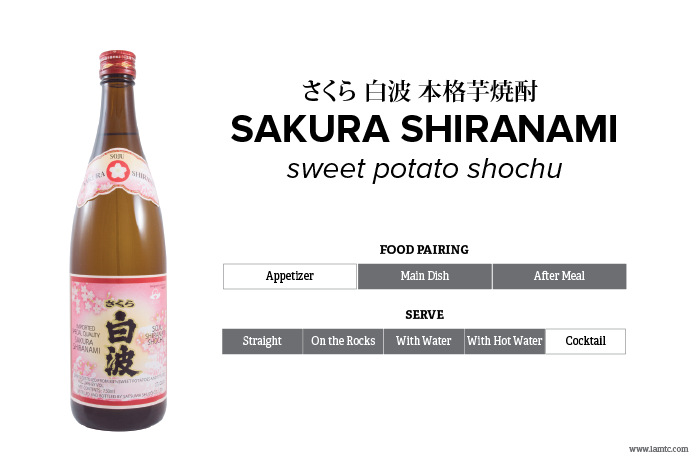 Conversely, this sweet potato shochu, Sakura Shiranami is made using the uncommon yellow koji which adds unique elements beyond the typical sweet potato shochu. It has earthy with a hint of floral fragrance while smooth on the palate coming to a crisp finish. This shochu compliments a variety of dishes from light to rich.